A balance transfer credit card can help you pay off high-interest rate credit card debt, but only if you choose the right credit card. Balance transfers can end up being costly if they're not done right or done using expensive credit cards. Before you transfer a balance or even apply for a balance transfer credit card, make sure you compare credit cards to choose the best one. Many balance transfer credit cards a low or 0% introductory interest rate for balance transfers. The introductory interest rate will reduce or eliminate monthly finance charges on your balance transfer for a certain period of time. The absence of a finance charge makes it easier for you to pay off the credit card balance. A 0% interest rate is ideal, but a low-interest rate - like 2.99% - is good too. By law, promotional interest rates must last at least six months, but some credit cards offer introductory rates up to 18, or even 21 months. The longer the introductory period the better because it gives you more time to pay off your balance with no interest. Once the introductory period expires, you'll be paying interest at the regular balance transfer rate (which is sometimes the same as the purchases rate). You don't want to end up paying a high-interest rate after the promotional period ends, especially if the promotional period isn't long enough for you to pay off the full balance transfer. Many credit cards offer the same introductory rate for your purchases and balance transfers, which makes the offer even more attractive. However, an introductory purchases rate might work against you. 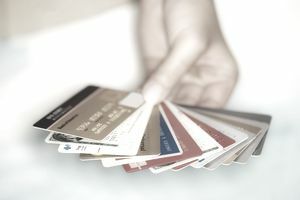 If you're racking up charges on the card because there's a promotional rate, you're working against any efforts toward paying off the balance transfer. Balance transfer fees are commonly 3% to 5% of the balance you transfer or a minimum of $5. The larger the balance transferred, the higher your fee will be. What's important is that the balance transfer fee doesn't negate the interest savings you're receiving by moving your balance. If you find a credit card that doesn't charge a balance transfer fee, consider it strongly. Don't assume that because you receive an offer for a 0% rate that you'll be approved. Credit card issuers send out mass pre-approval offers to consumers who meet certain basic criteria. When you apply, the card issuer will take a deeper look at your credit history, income, and other factors to decide whether you qualify. There's a chance that you may not ultimately qualify for the low-interest rate balance transfer. Generally, the better your credit history, the more likely it is that you'll qualify for the balance transfer offer. Some balance transfer credit cards require you to transfer your balance within a certain timeframe, e.g. 60 days of account opening, to receive the promotional rate. If for some reason you're not ready to transfer your balance right away, you should wait to apply for the card or choose a credit card that doesn't require you to make the transfer upfront. You typically cannot transfer balances between credit cards owned by the same company. So, as you look at balance transfer credit cards, rule out cards issued by the same creditor as the balance you want to transfer.